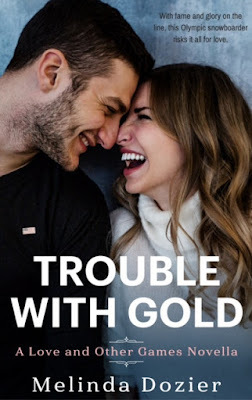 Melinda Dozier is here to share a favorite scene from her novella, TROUBLE WITH GOLD. With the winter Olympics just around the corner, here's a story set in that world. 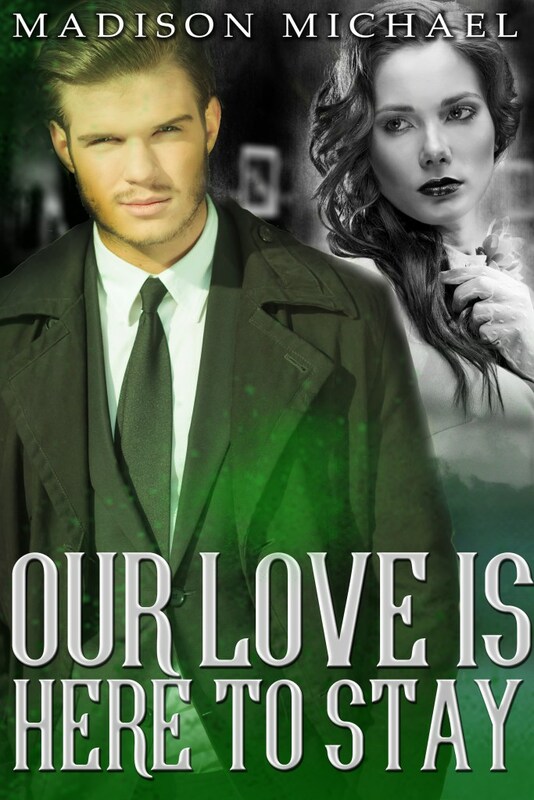 This 68 page contemporary romance novella sounds like a fun read. 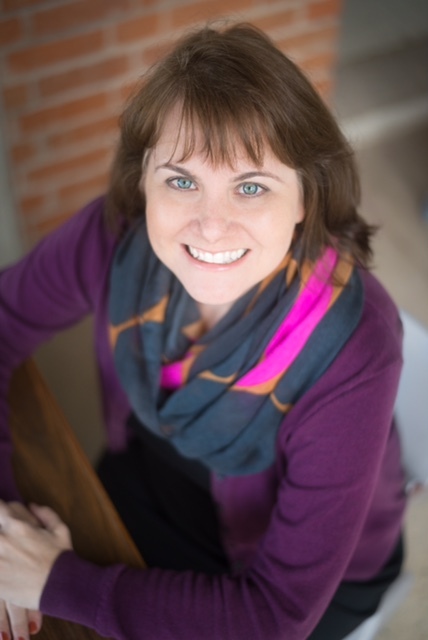 Please welcome Melinda Dozier! 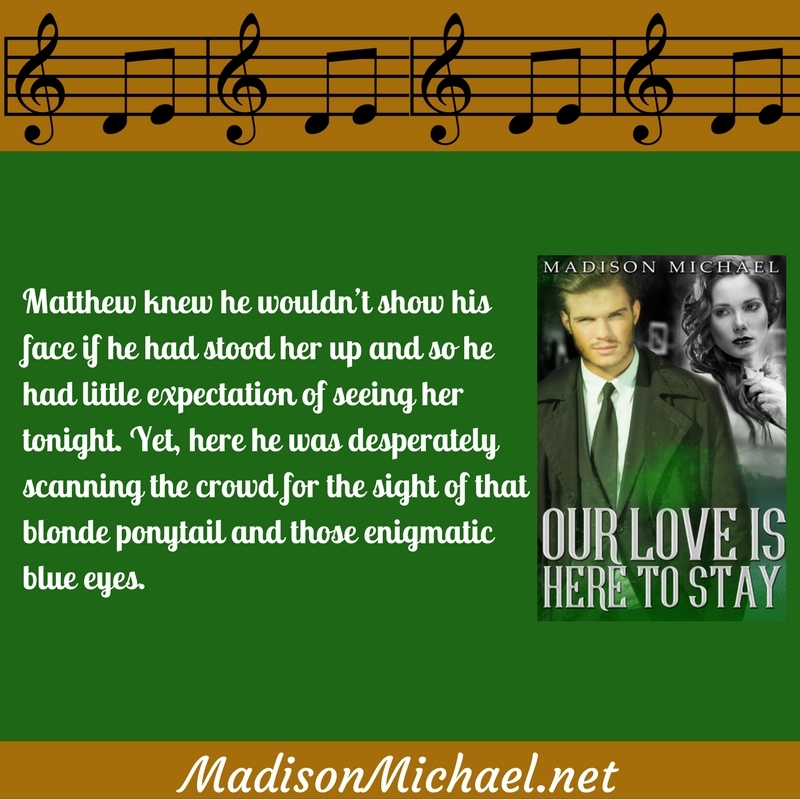 Reading romance has always been at the top of Melinda's favorite past times. You can always find a book in her hands no matter where she is. Melinda is Louisiana born, New Mexico raised, Guatemala adopted, and recently a newcomer to Houston, Texas. So, it's only natural that her stories take place all across the world. Melinda loves reading, reality TV, traveling, blogging, and playing Words with Friends. Madson Michael and "Our Love is Here to Stay"
My guest today is Madison Michael and her new release is Our Love is Here to Stay. 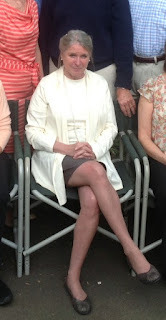 She stopped by for an interview to tell us about her writing and her life. 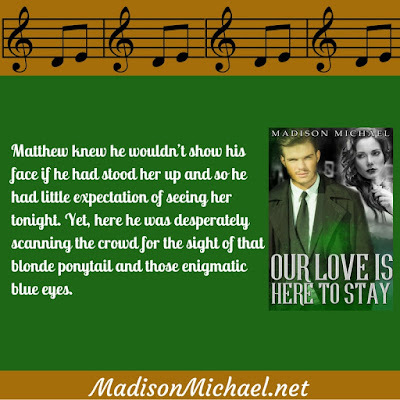 Madison has some wonderful prizes to share so make sure to enter the Rafflecopter at the end of this post. Please welcome Madison Michael! Where did you get the idea for OUR LOVE IS HERE TO STAY? Our music loving friends were in town so my Beau, Michael, suggested going to The Green Mill to hear authentic Chicago jazz. (http://www.greenmilljazz.com) On Swing Night, there is an orchestra and a performance ala the 40's or 50's. It feels like stepping back in time. The idea for the book came to me then and there. Michael solidified it when we took swing dance lessons together. The man can cut a rug. 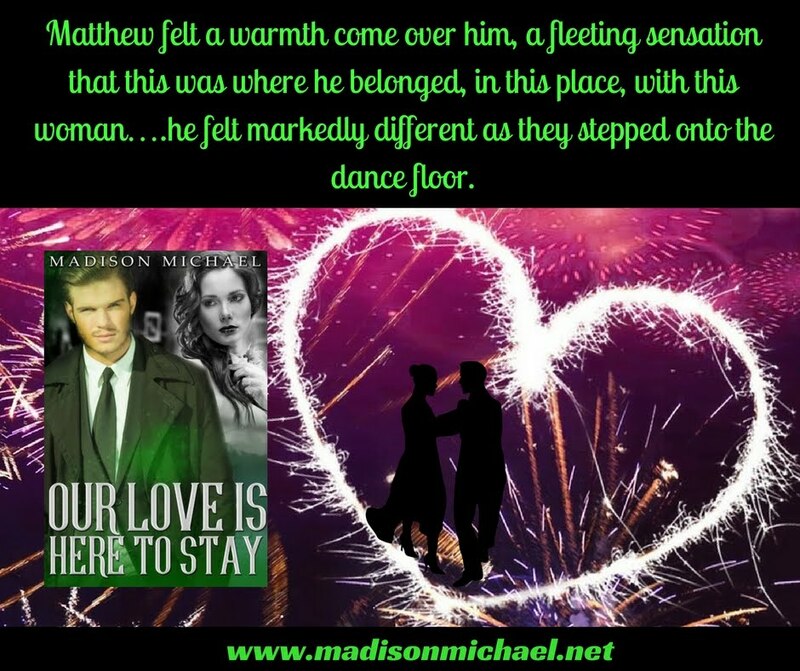 We relived that swing night week after week until I was compelled to write Our Love is Here to Stay. When readers finish Our Love is Here to Stay I want them to appreciate the power of love; to have an "aah" moment but wish for a little more. There is a happy ending but there is an opening for more. If it inspires them to learn swing, that's okay too! 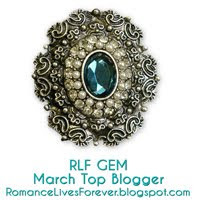 I would love to try writing Historical Romance, perhaps a Regency. I was initiated into romances by authors such as Barbara Cartland and Georgette Heyer and have always loved the wardrobes, the manners and the monarchy. When I wrote my first Beguiling Bachelor book, Bedazzled, it was not intended to be part of a series. I locked my characters into situations without concern for follow up novels. My characters for Besotted, Tyler and Regan are constricted by my earlier writings. If I could go back, all four books and all the key characters would be taken into consideration from conception. I love writing but I am consumed with all aspects of being an indie publisher. Self publishing is a little like doing a jig saw puzzle…you put in a piece and you can see the picture better. That reinforcement makes it harder to walk away from the puzzle and go back to the isolation of writing. It is difficult to find enough time for both full time jobs. Characters always come first. I may have a plot concept, but the plot will evolve based on the characters. I need to know them, really know them, to make their actions plausible, and to make their chemistry fiery and satisfying for readers. The most fun has definitely been Beholden. I loved writing about bitchy Sloane Huyler and pairing her with Randall. They played off each other so well. I could just relate to them both. I wonder what that says about me. 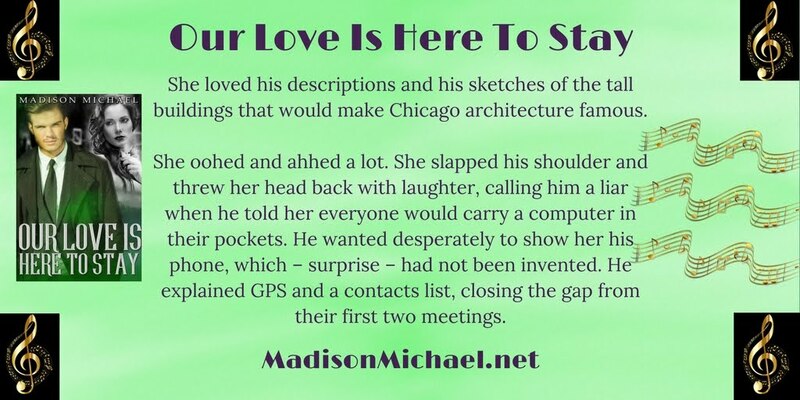 As for the easiest to write, my bonus free book (www.madisonmichael.net) Studmuffin, which may be the sexiest of the books I have written, was my first short, standalone, novella so it was pretty easy. Also, I am a divorced woman who may or may not have had a fling with a younger man. Let’s just say I could relate well to my heroine. I love dogs but I am a city dweller so cats are my companions. Last year I parted company with my two feline editorial assistants after almost twenty years together. It was heartbreaking. I plan to adopt again this spring. It’s lonely writing without a paw striking the computer keys now and then. I have played the ‘if I won the lottery’ game a million times, and every time I have houses in California, New York and Spain. I love that unique California attitude. I think New York would be fabulous with an unlimited budget and I want a jumping off spot in Europe and Spain has tons of great cities – Madrid, Barcelona, and Valencia for example, that I never tire of visiting. I am in love with Kate Canterbary’s Walsh Series and Karen Marie Moning’s Fever Series. 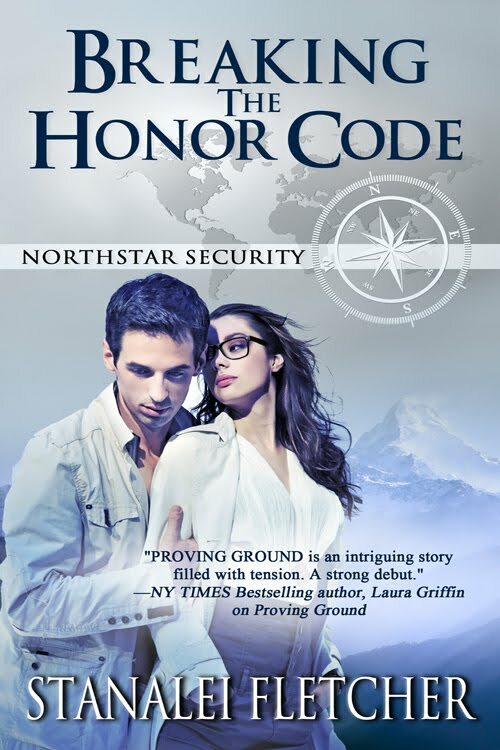 They both create wonderful, flawed characters that discover their hidden strengths, and these authors pen sensuous stories that are impossible to put down. What do you like best about your hero in OUR LOVE IS HERE TO STAY? Like Matthew, I used to be a software consultant. That road warrior existence is exhausting. Matthew, despite his travel weariness, embraces Chicago, and I love that he is willing to make it, and Patty, home. What do you like best about your heroine in OUR LOVE IS HERE TO STAY? I really like Patty’s enthusiasm for the future rather than her being limited by the times. Sure, it facilitates the plot, but wouldn’t we all want to be the kind of woman who jumps into life with both feet? Patty is that woman. This is a difficult task. I create the essences of my characters, their troubles, strengths, families, histories, what drives them, before I place them in settings and plot. Like a parent, I wait to "see" my newborns before selecting their names. I get an image, ideas for names and play with them in my head for several days. It often takes me numerous tries to get a name right – Wyatt Lyons Howe was a Jefferson, a Geoff and a Wallace before he became a Wyatt. As for faces, that’s easier for me, but I always pin photos on the wall to make sure that I am consistent in eye color, the shape of a face and other features. I am just completing the first story in my new B&B Billionaire Romance series, Desire & Dessert, to be published as part of a collection in April. I am excited about both the new series and the collection. Look for them this spring. My favorite novel is Beholden. I just love the characters. My fans favor Bedeviled the best. The best way to approach my books is to start the journey with Bedazzled, the first book in my Beguiling Bachelor series. Then keep reading and let me know which you would most recommend. My next project is the first in my B&B Billionaire series. It is coming out as part of a collection of billionaire themed stories scheduled for release in April. I have already sketched out several other books in the series and am really enjoying writing these characters. The first, Desire & Dessert, is the story of a billionaire hotelier who is purchasing a charming B&B managed by someone equally used to calling the shots. When our spoiled executive makes one too many changes, sparks fly. I love my fans and would enjoy engaging with them more often. 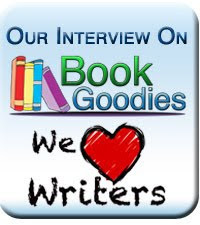 Whether they want to email to tell me about themselves, suggest plots, characters or settings, or to submit reviews to the many outlets available, I look forward to hearing from them. 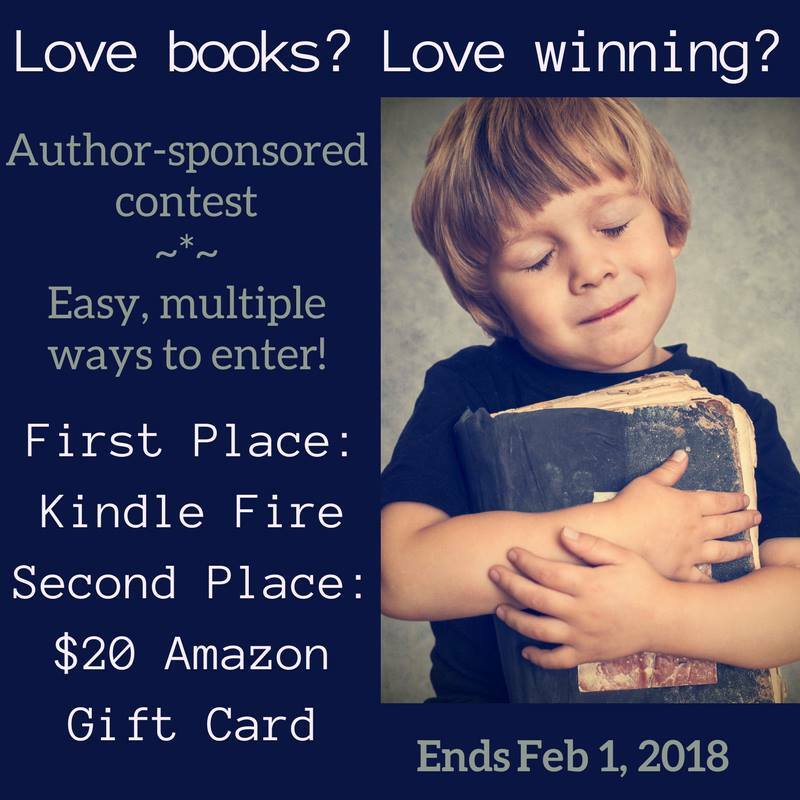 Here's another chance to win a Kindle Fire or an Amazon Gift Card! 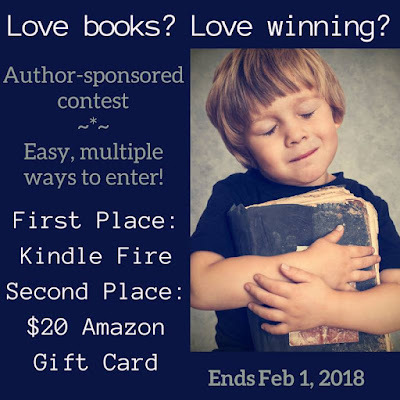 It's easy to enter, so click on the Rafflecopter! My fellow Wild Rose Press Author M.S. 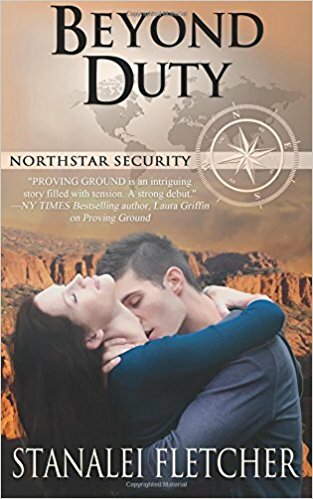 Spencer is here to celebrate the release of a brand new humorous romantic suspense/romantic comedy. This one sounds like a real hoot! Please welcome M.S. Spencer. 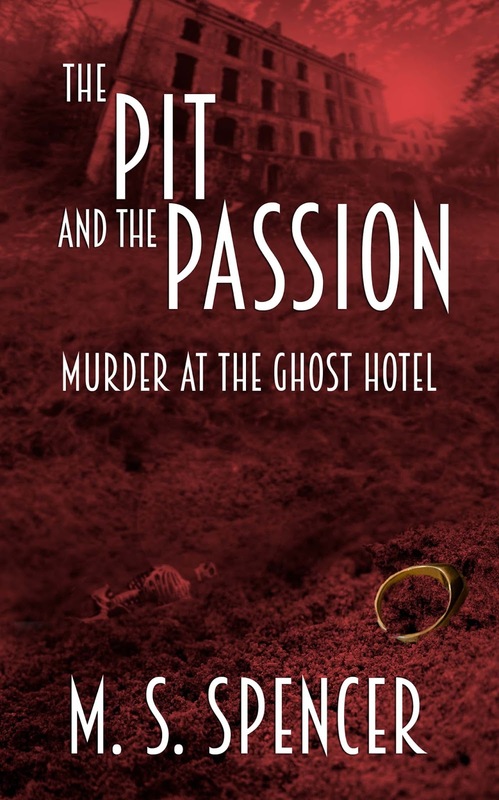 Thank you so much for letting me talk to your readers about my new mystery romance The Pit and the Passion: Murder at the Ghost Hotel. Set on Longboat Key, Florida, it features an unexpected skeleton, a quirky romance between an arrogant though talented writer and a beautiful reporter, and a complicated set of clues that lead to a deadly secret long hidden by the most famous circus family in the world. Although M. S. Spencer has lived or traveled in five of the seven continents, the last thirty years were spent mostly in Washington, D.C. as a librarian, Congressional staff assistant, speechwriter, editor, birdwatcher, policy wonk, non-profit director, and parent. 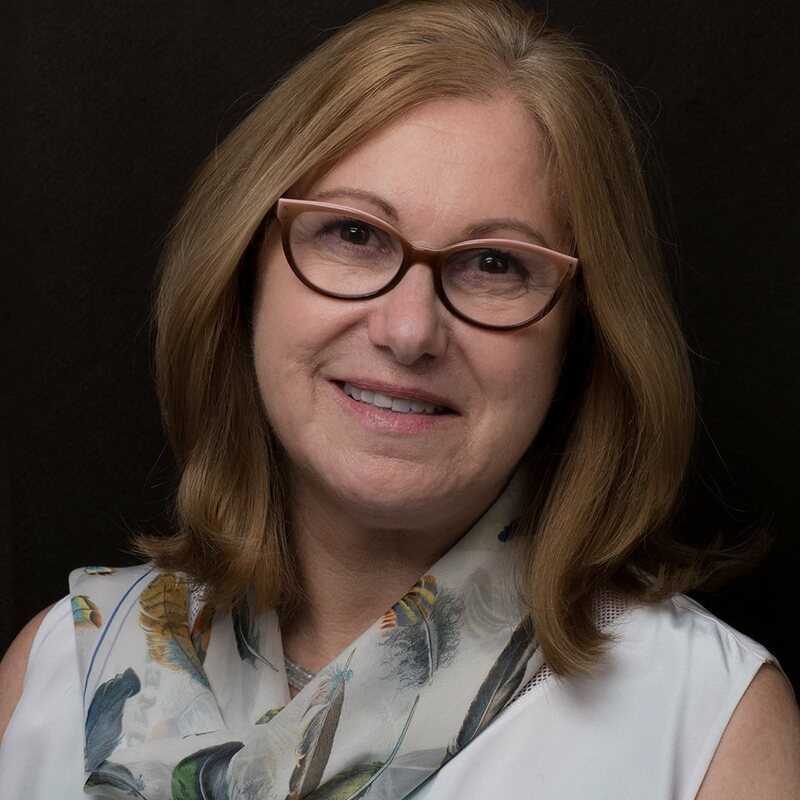 After many years in academia, she worked for the U.S. Senate, the U.S. Department of the Interior, in several library systems, both public and academic, and at the Torpedo Factory Art Center. Ms. Spencer has published eleven romantic suspense novels, and has two more in utero. She has two fabulous grown children and an incredible granddaughter. 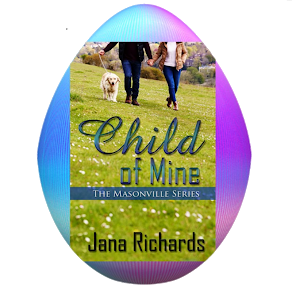 She divides her time between the Gulf Coast of Florida and a tiny village in Maine. 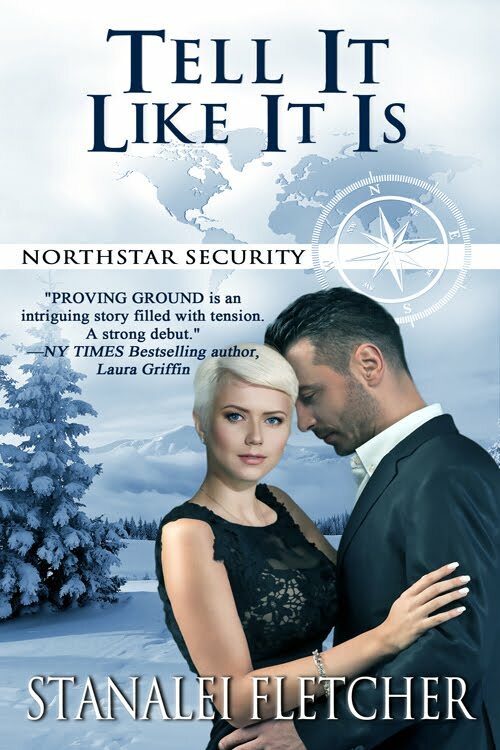 About the Book: Northstar Security agent, Riley O’Neal, balks at posing as anyone’s husband for an assignment. Nevertheless, to rescue the kidnapped wife of a U.S. Senator, he’ll perform his duty and do his best to resist the charms of the very woman who deceived him on a previous mission. 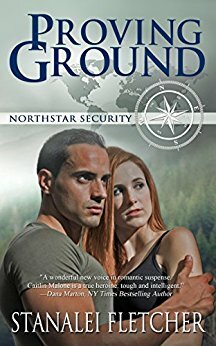 U.S. Army Lt. Mary “Chip” Anderson is uneasy about the undercover assignment to pose as newlyweds. Concealing her attraction to Riley while staying focused on the task, may be the biggest challenge. Despite efforts to remain objective, enforced proximity ignites emotions and a desire to make the fake honeymoon real. When Chip is kidnapped during a botched rescue attempt of the senator's wife, both women become pawns in the case that threatens the nation’s security. Riley must remain objective, save the women, and avert the threat. But after that, can he convince Chip that she wants to wear his ring forever?